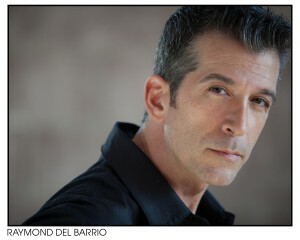 Raymond Del Barrio has been present in the industry for more than 40 years. He created the musical staging and choreography for the Academy Award Winning “Live Action” Film Short, West Bank Story! He is the co-director and choreographer for the musical Sisterella, written and directed by Larry Hart Executive Produced and presented by the King of Pop, Michael Jackson. Sisterella won eight N.A.A.C.P. Theater Awards, including Best Musical, Best Director and Best Musical Staging and Choreography. As a performer, New York audiences saw Del Barrio most recently performing with Legend Chita Rivera at Carnegie Hall, in her Broadway Birthday performance “A Legendary Celebration” for BC/EFA and in the benefit “A Concert for America” at Townhall. He created the role of Damon Runyon in the Broadway revival of Guys and Dolls and also performed in the Las Vegas production of Jersey Boys. His other theater credits include Harold Prince’ Roza at the Royal theater, Lincoln Center’s, Carousel. He also had the honor of working on Genesis and Havel’s Temptation at the New York Shakespeare Festival for Mr. Joseph Papp. His tours include Chita Rivera: The Dancer’s Life, the 30th-anniversary tour of West Side Story in which he played Chino and Whitney Houston’s Moment of Truth World Tour. His film and television appearances include co-star on Rob Schneider’s CBS sitcom “Rob”, The Mambo Kings, Sister Act 2, Robin Hood: Men in Tights, Footloose, Solid Gold Hits, the Academy Awards, Grammy and American Music award shows. © 2019 RAYMOND DEL BARRIO.